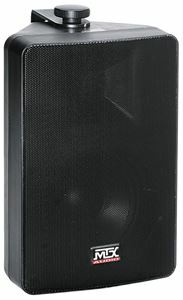 Big sound for large backyards, covered patios, garages, or workshops. Extend your audio system to the outdoors. 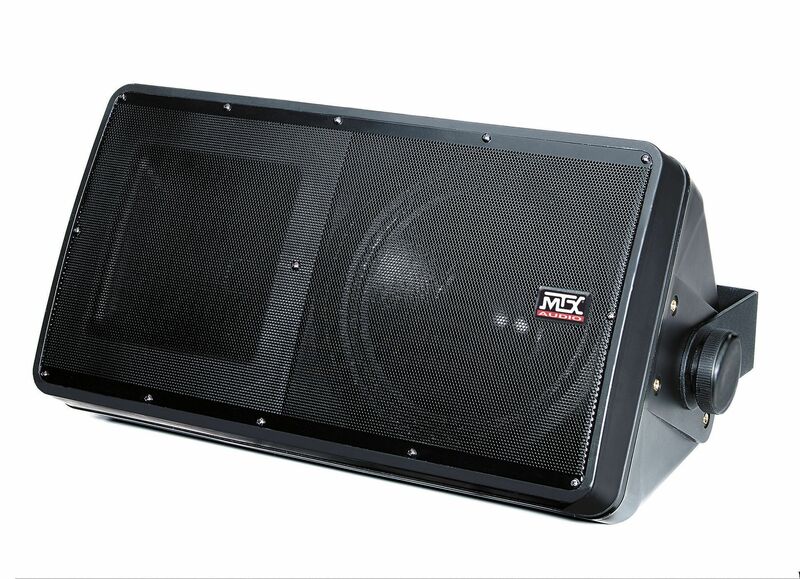 MTX all weather speakers are designed to survive anything nature throws at them while delivering crystal clear, high quality sound season after season, year after year. These speakers are designed to survive anything the outdoors can throw at them while still delivering crystal clear, high quality sound season after season and year after year. 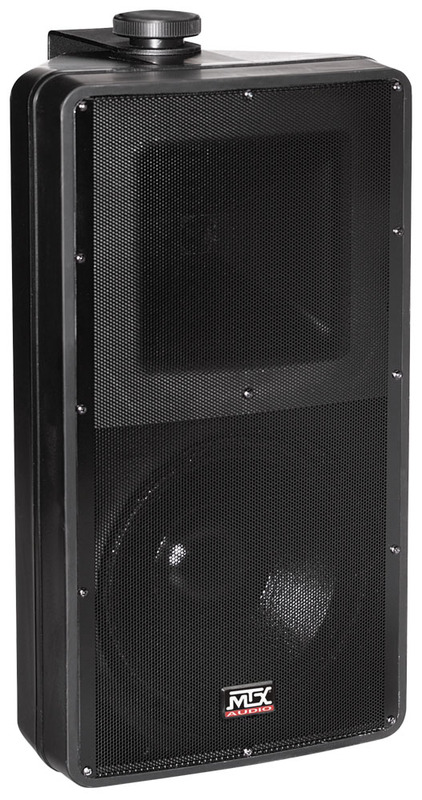 The AW construction is what make these speakers the ideal choice for outdoor applications. 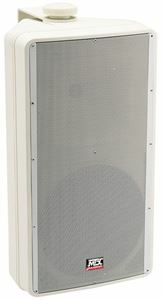 Constructed of weather resistant materials such as UV-resistant talc impregnated polypropylene injection molded cabinets, Hycone™ treated speaker components, powder coated aluminum grilles and all brass hardware, these speakers are virtually bulletproof and have passed 100 hours of salt spray testing per ASTM B117 standards. The sound is generated using high quality components including a highly efficient woofer and titanium compression high frequency driver. MTX's advanced design optimizes the clarity of vocal and instrumental reproductions ensuring smooth, even sound coverage. They can be mounted vertically or horizontally as the symmetrical high frequency sections enables even coverage in either configuration, 65° horizontal by 65° vertical. These speakers also include a weather resistant "U bracket" that allows it to be surface mounted to virtually any surface. 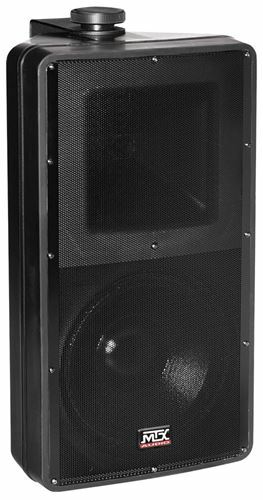 The AW82-B is a 8" 2-way speaker capable of handling 150 watts RMS power at 8 ohms and finished in black. The AW82 are also available with a white finish, model AW82-WH.